I feel so behind of the times as I have only just discovered the interior design work of Isabel Lopez-Quesada, a Madrid-based designer. I love her layered but contemporary style - all her designs feel so welcoming and cozy while being fresh and airy. Her work is stunning! 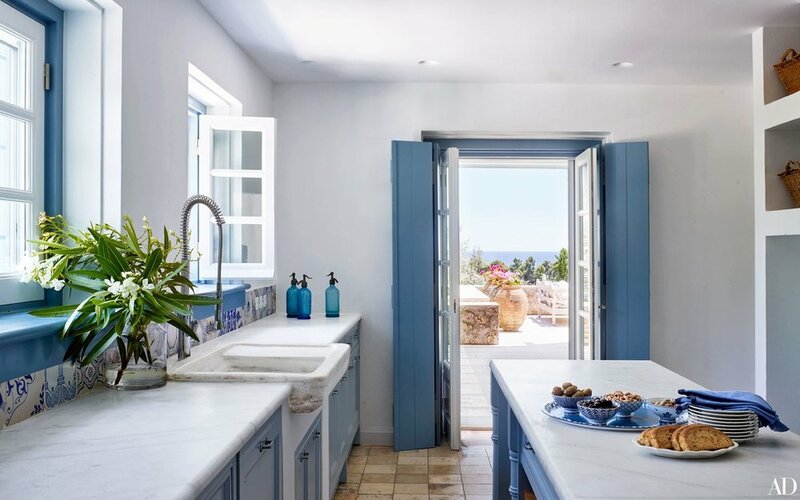 One of my favorite projects in Isabel's portfolio is a vacation home she designed in Spetses, Greece. 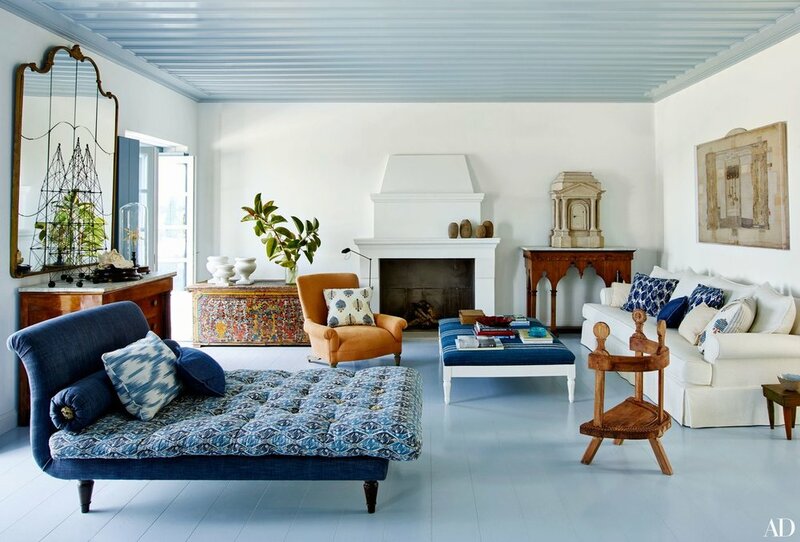 I love the blue painted floors and mix of furniture styles. The home is perfection! Now I am simply wishing for a Mediterranean getaway! This October, Isabel's first book is coming out - At Home: Isabel Lopez-Quesada.